Dmitry Donskoy submarine of the Project 941 class will remain in service until 2020, according to an industry source quoted in the Russian press. The submarine, which was used to as a test bed for Bulava missile, is expected to take part in tests of a Bulava follow-on. The last time Dmitry Donskoy launched Bulava was in October 2010. After that, all Bulava launches were conducted from Project 955 submarines. In the most recent one, in November 2015, two missiles were launched from Vladimir Monomakh. Pavel, I assume she would continue to serve in the test-bed role, but with 3 Borei's operational would that really be necessary? Perhaps a different role? Pavel, is it true that the other two boats are going to be scrapped now? Looks like it will be used for testing an upgraded Bulava- the Bulava-M; first I have heard of this program. 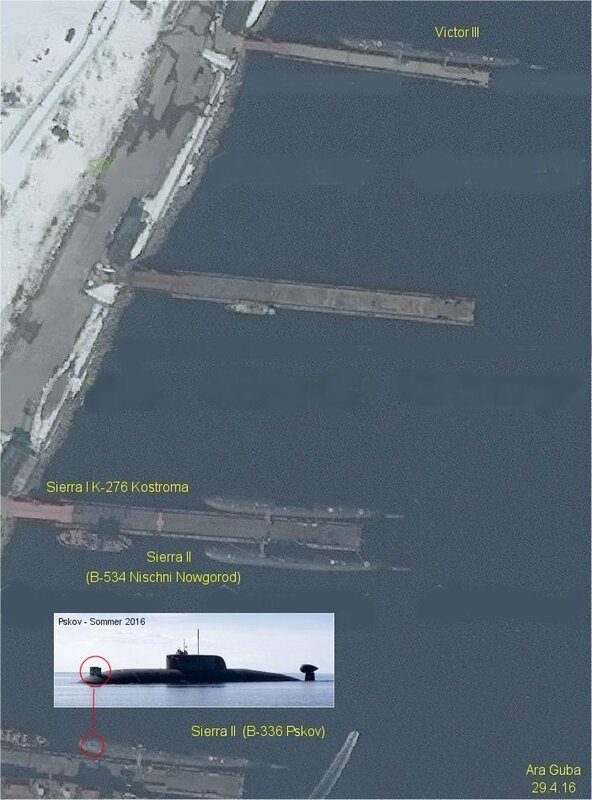 Meanwhile, Pskov returned on the same day sporting the Sonar calibration equipment, having gone out the week earlier. No idea what Sonar is being tested as yet. 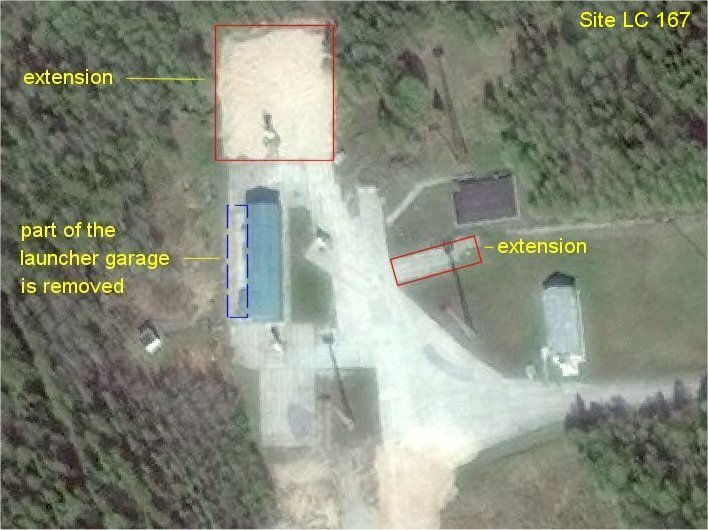 Here is an update of LC 167 Plesetsk for Pavel. Some minor reconstructions. Together with LC 168 this is the only surface launch pad which remains. All other military surface launch pads (e.g. LC 157/158) have been turned back to nature. So Nudol could hae been only tested at LC 167/168.